One of the best things about Chromebooks is that they improve over time with frequent automatic updates. Over the last few months we’ve gotten great feedback from many of our Chromebooks for Business and Education customers, and we’re excited that this week’s latest stable release of Chrome OS includes their top feature requests: VPN and secure Wi-Fi (802.1x) support, and access to virtualized applications. With VPN support, users can remotely access their private school or business network from a Chromebook so they can use important internal systems while taking advantage of the Chromebook’s portability. 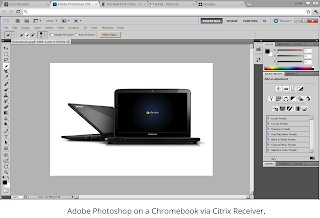 Secure WiFi (802.1X) support lets organizations protect their wireless network and systems by requiring authentication credentials in order for a Chromebook to connect to the network. Finally, while most new applications will be built for the web, we recognize that some users need to access desktop applications.1 With the technology preview release of Citrix Receiver for Chrome OS, Citrix customers can now access virtualized versions of their desktop applications, like Adobe Photoshop, using a Chromebook. Also in this week's release, Chromebooks resume even more quickly – 32% faster in most cases. 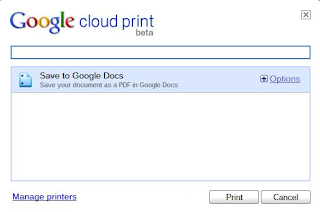 And users can save paper by using Google Cloud Print’s Print to Docs feature. We’re excited for feedback, and to get the latest features, fixes, and improvements, all users need to do is open their Chromebooks! If you’re interested to learn how Chromebooks can help your school or business, contact our team. I noticed that the network settings on the ChromeOS now have a button for Advance settings. However the screen for Advance settings doesn't have a place to specify the encryption type. Can you please add that? Without specifying the encryption type you can not connect to hidden 802.1x Access Points. Also, what is the ETA for support for SSL based VPNs like Juniper? OMG! This is what I have been waiting for!!!!!!!!!! +1 on the question re ETA for SSL based VPN support. We're using the one from F5 (http://www.f5.com/products/big-ip/). SSL VPN support is going to be required at our institution. Thanks!